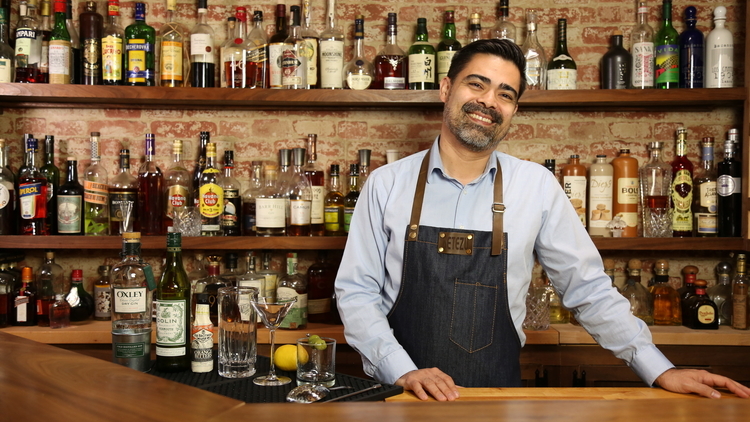 April 3, 2019 Ask the Experts: How Can I Create a Cocktail Menu That Sells? Creating a cocktail menu…it’s the ultimate balancing act. You need to have just the right amount of drinks – some classic favorites, some creative concoctions. Then, you’ve got to price them perfectly (not too high, not too low). Looking for a little help to raise the bar on your cocktail menu? We reached out to Chris Tunstall, founder of A Bar Above, for his take on creating that “just right” drink list. A Bar Above provides mixology training and certification, an awesome podcast, recipes, and tons of other value resources – even free bartending seminars. Q) Who should create the cocktail menu? A) Traditionally the cocktail menu has been created by the bar manager or a lead bartender if the bar or restaurant is lucky enough to have both. Depending on how often you change your beverage menu, this can place a lot of creative burden on one person and burn out can be a real concern. I’ve always been a fan of opening up the cocktail menu to anybody that wants to contribute. This allows the lead bartender or bar manager to become more of a coach – so you can leverage his or her expertise. By letting other staff members contribute to your cocktail menu, you also give contributors a natural way of suggestive selling “their” cocktail to guests! You could even offer a prize to the person that created the top-selling cocktail in a quarter. Another option is to take distributor recommendations for new cocktails. Many of the people that sell you spirits also have a background in hospitality and have quite a few resources behind them. Let them know the criteria that you are looking for see: then see what they come up with. This might not work with every distributor, but it could be another option to try if you don’t have the skillset in house to put together a signature cocktail menu. Q) Is there a process for evaluating which drinks should go from conceptual to actual drinks on the cocktail menu? A) The process that I like to suggest is for the bar manager to announce that new cocktails will be open for submission over the course of a few days. Give the staff and/or your vendors a few criteria that you are looking for. For example, “we are looking for an Old Fashioned, a Manhattan, and a Cobbler variation, plus one cocktail of your choosing.” If there are any themes that you are working into the cocktail menu then give them this information as well. Ask your team to submit their cocktail menu recipes and choose the ones that make the most sense for your program. Then set up a time for them to make the cocktail for you. Make any tweaks to the drink, the garnish, the production of ingredients or glassware. Besides just taste and appearance, there are a lot of other factors that will influence if a new drink is worthy for your cocktail menu. For example, how long does the drink take to prepare? Are there ingredients that need to be made in house? How much will it cost to produce those ingredients and how long will it take to create those products? Once you have a potential winner for your cocktail menu, always run the beverage cost formula to ensure it meets your profit needs. Q) How often should you update your drinks menu? A) The frequency for a cocktail menu change really depends on your business. If you are a bar or restaurant that is very seasonally focused, then 4 times a year is the minimum amount of updates that I would recommend. Six to 8 times a year would be even better. If you are not as dependent on seasonal ingredients then you could get away with once a year or once every few years, just enough to stay current with consumer trends. Q) How can trends be incorporated? Any key cocktail menu trends you are noticing for 2019? A) Trends can be a tricky thing to incorporate into a cocktail menu. If it is a particular spirit or cocktail, that’s easy to integrate. Other trends – like barrel aging on premises – are technique driven and require more education, investment, and training. A hand cut ice program is one of those trends that require a lot of time and energy to pull off and is not a great idea for a lot of bar programs. As far as cocktail menu trends that I see happening in 2019, I continue to see craft bartenders reaching for lesser known spirit categories, in particular, Sherries, brandies and to a lesser degree Genever. This is a pretty narrow segment of the market, but one that is more universal is the focus on creating high visual impact cocktails (more about this in promoting on social media section). The humble Gin and Tonic seems to be leading the charge in this category, following the Spanish trend that started a few years ago. Q) Any tips for the actual cocktail menu design? Font, paper, layout, etc.? There is a lot of great information about menu design out there and you can spend an entire career learning all of the nuances of this topic. Everything from placing your most profitable drinks at the top of your cocktail menu and at the bottom…to using different fonts and boxes to draw a guest’s attention to a specific item. You can see 10 of the best menu design strategies, here. I’ve even seen a hand drawn cocktail menu, complete with pictures, on a piece of butcher paper behind the bar. I think one of the biggest mistakes that I see is not taking the environment into account when designing the menu. People need to be able to actually see and read your menu! Take a draft of the menu and try to read it in your establishment throughout the day. A cocktail menu that reads great in the afternoon might be unreadable in the evening. If you see people turning on cell phone flashlights at night to read the menu…that’s a red flag. You may want to take a good look at your font size/selection, paper brightness and/or overall menu design. Q) What about pricing, are there any strategies you recommend? A) There are a few elements to cocktail menu pricing strategy that I would recommend. The first thing would be to do your competitive research. What are similar bars and restaurants charging for their cocktails, beer, and wine? Usually the competition is within a dollar or so of each other, but there could be opportunities to change your pricing as well. I’m sure everyone has their own personal pricing strategy when it comes to beverage programs. I always thought of the spirits and cocktail menu as one entity and adjusted prices to meet the overall beverage program target numbers. This means that some cocktails and spirits (especially your well) would have a high profit margin and other spirit forward cocktails and “benchmark” spirits could be priced very competitively. For example, someone sees a shot of Johnnie Walker Blue Label and maybe a few other “benchmark” spirits for a decent price…they could look at the rest of the cocktail menu and think there is a similar value. Q) What are the “secret ingredients” to a successful signature drink? A) One of the biggest things you can do to make your signature cocktail menu a success is to get the staff behind the drinks. This can be done through education about the ingredients and selling techniques, having them contribute to the menu and running fun sales contests. If the cocktails are designed well, have a great visual appeal and if your staff is focused on suggesting them, then your cocktail menu should be successful. I think one of the major things to keep in mind when looking at designing the cocktail menu is to streamline the cocktails, and the bar layout for speed of service. If you can keep the wait time down from the moment the cocktail was ordered to the moment that the drink is delivered, this will also help drive the success of the menu. Q) Any tactics for promoting drinks on social media or other avenues? A) The tactic that seems to work the best is to cater to the visual aspect of social media. This could mean designing a cocktail that is meant to be “shareable” on social media…it would stand out in people’s social media feeds. The Bloody Mary is to be an easy vehicle to dress up for social media, but large format party bowls like the Scorpion bowl could be another great choice to make your cocktail menu more “shareworthy.” Cocktails that take customer interaction and have a sense of play also make great social media cocktails. Q) What are effective strategies for measuring the success of your cocktail menu? A) There is no shortage of metrics that you can use to measure the success of your drinks menu. You can take a data driven approach and focus on hard numbers like sales comparisons from the previous year as well as profitability comparisons from the previous year. You could track how often your drinks or business is mentioned in social media by tracking likes, mentions, and shares and/or any publicity that you get in the media. You could even take a look at customer reviews on Google, Facebook and Yelp to see what others are saying about your beverage program. Being clear about what you want to accomplish with your cocktail menu and consistently measuring the corresponding metrics will help keep an operator on track for hitting their criteria for success. Q) Thank you so much, Chris! A) My pleasure. This is what I’m passionate about here at A Bar Above: sharing practical bartending strategies with other owners, managers, and bartenders!